Uniquoern is working on getting the Overstock people into Nxt. Nxt.org, the “official” Nxt-site is up and running, and under ongoing development. Nxtcrypto.org has been converted to NxtCommunity.org. People who want to join and help the Nxt Community should go there or to the forums @ https://nxtforum.org. NxtFoundation.org domain is being transferred to Tai Zen. Nxt Foundation is a number of people who have committed to the Nxt platform and done work for it. Originally founded by Tai Zen, Damelon, Uniquoern and QBTC in an effort to get together active Nxters and prevent double work. 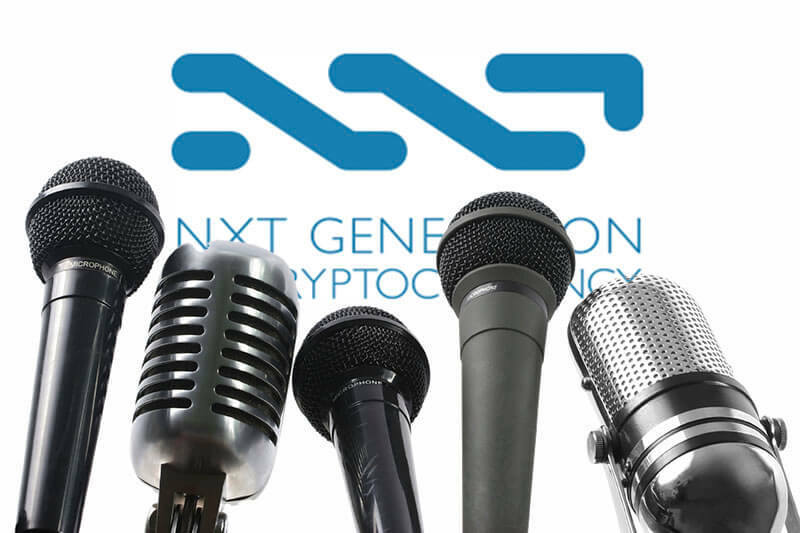 It’s not paid or official, just bringing trusted Nxters together who are actively developing or promoting Nxt. The Nxt Foundation core is trying to set up a funding opportunity for Nxt in the future, for when the 3 Funds Committees run dry of resources. The foundation is not centralized. We just use the term “Foundation” so that when people like businesses and others want to use the Nxt platform and integrating it into their business, they have a contact point that is reliable and has integrity and understands the Nxt platform and can connect them with the right people. Some original stakeholders have donated to the Nxt Foundation. Pouncer donated 1.5M Nxt for different purposes. P2PGuy (Robert Crabtree) wrote an iBook about digital coins, an entry point for “Ordinary People” getting into cryptos. He will be running a FB advertising campaign for mac users. He shares his thoughts about advertising Nxt. The book’s chapter about Nxt is carefully positioned as the last one, so that when readers have caught up on cryptos, Nxt will be the Next. But DOES it promote Nxt? Nxtcommunity.org and Nxt.org is linked from the book. (…) I’m working with the marketing committee to attract people from the crypto world to working with Nxt. I made the mistake with bitcoin that I only invested 10%. Nxt IMO is high risk, but the risk reward is much better for Nxt than it was to Bitcoin. It’s time to get in now. I invest more. Otherwise you will have only small profits even though you saw the big picture. This might be the biggest event for Nxt EVER! Support it. Making great progress. Liquidity is what they want. We must show, that we are not just an investment coin. If we can make a plugin that the ATM’s can use, we will be ready. Developers – read that again! ATM’s will make it possible for our grandma’s and grandpa’s to invest in Nxt. We’re pushing. Right now, we’re waiting on them. No need to contact them anymore, we are on it. You will soon see Nxt Asset Exchange described in a well known publication. Thanks to everybody who added their input to the article. We recorded a video on a recent conference [@ Missouri State University]. (…) We went into the business community. We talked to entrepreneurs and small businesses. 40-45 people. There weren’t hundreds but these were movers and shakers. After the speech we spoke for over an hour to local businesses. (…) That could have went on for hours. We had people grabbing their chairs and circling our table… (…) People were willing to talk. We’re gonna talk to the Chamber of Commerce. Next month we’ll talk to the local AITP chapter. We posted our thoughts: [@ https://nxtforum.org/trekcon-(may-9-11th-2014)/trekcon-updates/msg18994/] and hope that everyone will use it that going forward. Allows you to transfer your money into cryptos. They accept credit cards. We need guys in the UK that have bank accounts and who are willing to sell their Nxt at any cost they want. In that way they have the liquidity. That would be another big step to make us go mainstream. AITP is a national IT organization with a couple of hundred chapters. I’m giving a speech in June, about Nxt to them. They’ve asked me to come down, talk about digital currencies. (…) This speech will be handed out to all chapters. So this is a big deal to Nxt. Nxt will go to the moon.